» Lifestyle » Do You Realize What Difference You Can Make? A man is taking a Sunday late afternoon walk on the beach hoping to get some inspiration for the busy week ahead when in the distance he sees a small figure dancing back and forward on the sand. He is intrigued. He keeps moving in that direction to unravel the mystery. As he gets closer he sees a little girl, not dancing but running. Back and forward she goes from the sand to the sea, from the sea back to the sand again at a rapid pace. Soon he realizes that she is not just playing as he supposes, she has a purpose; she is saving star fish that have been stranded on the sand by the tide. He watches curiously as she picks up star fish after star fish, runs to the sea and throws them back into the water. The man smiles at the pointlessness of her action. She is very young, he thinks, she does not understand that she cannot save all the star fish, not even along this one small stretch of sand. The beach is littered as far as the eye can see with stranded stars. Thousands of them. What difference can one small child make? The little girl looks at the man for a moment, then picks up and another star fish from the sand and throws in back to the sea. “It has made a difference to that one” she says. And with that she carries on her dance, back and forward from sand to sea, from sea to sand, doing what she can do, and not worrying about trying to do what she can’t. This story leaves me inspired. Inspired to share our blog with as many people as we can reach. Nikki and I are looking for star fish. When we find them we are going to do our dance, from the sand to the ocean as many times as it takes to motivate and inspire them into positive action. What I learned from the story is that every act of kindness is worthwhile. I also learned that worrying about “being too small” to make difference does not serve anyone.Everything we do has a big affect on everything else because everything is connected, even if that connection is not immediately obvious. Leonardo Da Vinci said that when a bird lands in a tree the whole world changes because everything affects everything. Everything is everything! 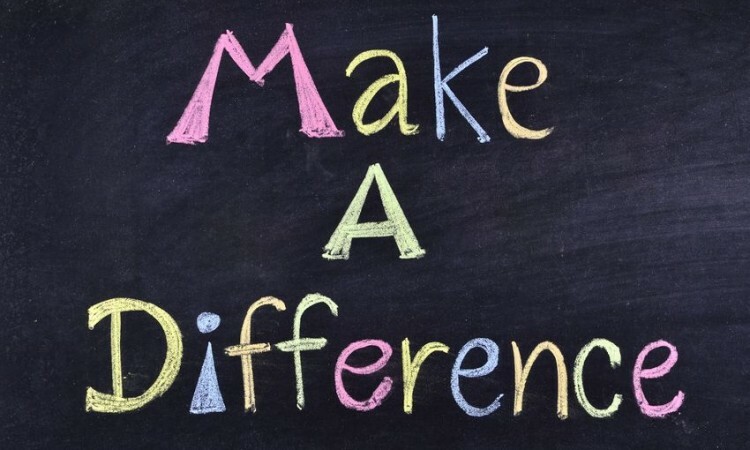 What can you do today to make a positive difference?